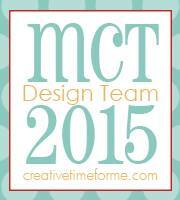 Hello, I have a Santa Treat Box to share with you today using Doodlebug Design's Milk & Cookies collection. 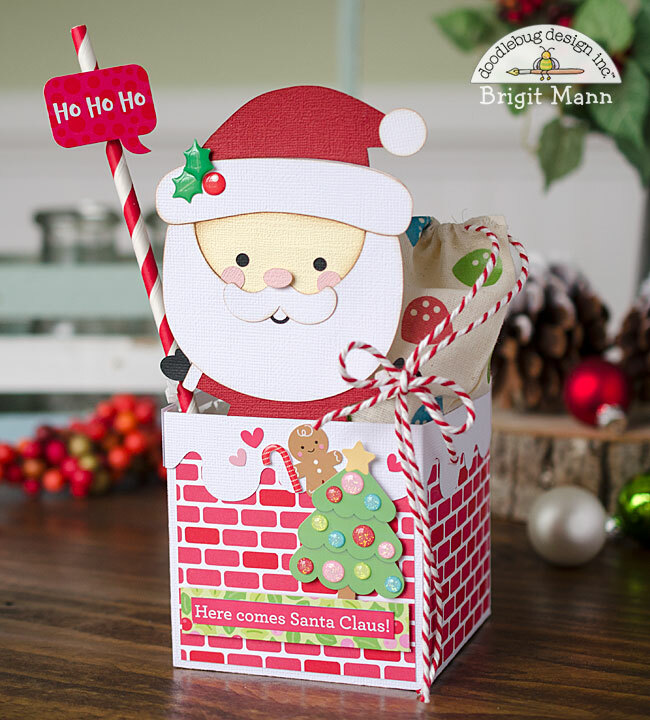 It's so fun to make treat boxes that can also be used as a holiday decor piece, makes the gift all the more special! I used the santa chimney cut file sizing it to fit the front of the bunny box, both of these are from Lori Whitlock's shop. 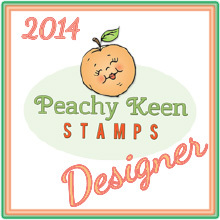 I didn't need the top of the box so I used the knife tool in Silhouette Studio and cut it off. After assembling the Santa I glued him to the inside front of the box. The ho ho ho is from the this & that sticker sheet and the holly from the holly berries shape sprinkles pack, so cute!! For Santa's hat and jacket I used ruby textured cardstock and on the muslin bag I replaced the string with some ladybug chunky twine. 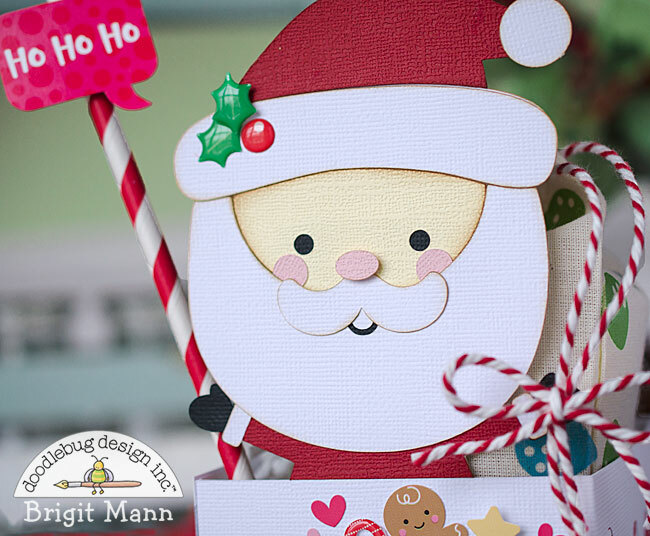 I created layer panels for each side of the box and cut them out using dear santa paper. The tree, gingerbread and hearts are all from the icon sticker sheet, I added some Christmas assortment glitter sprinkles over the ornaments on the tree. 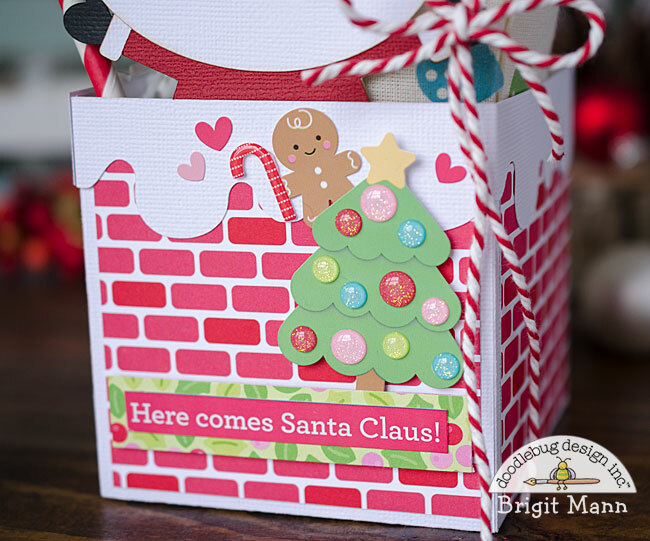 The cute little candy cane is from the candy cane shape sprinkles pack and the sentiment from the this & that sheet is matted on a strip of merry berry paper. To add a little more detail I printed some of the gumdrops on t-shirt transfer paper and used my easy press to iron them onto the bag, adds a fun touch! 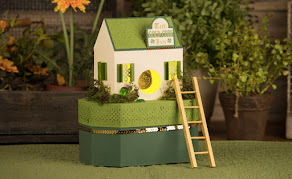 Brigit, this is a super cute project. Thanks for telling that you cut off the box top with the knife tool. 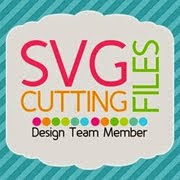 Some of us are isolated from other crafters and mostly have to do Silhouette and craft learning through online sources. 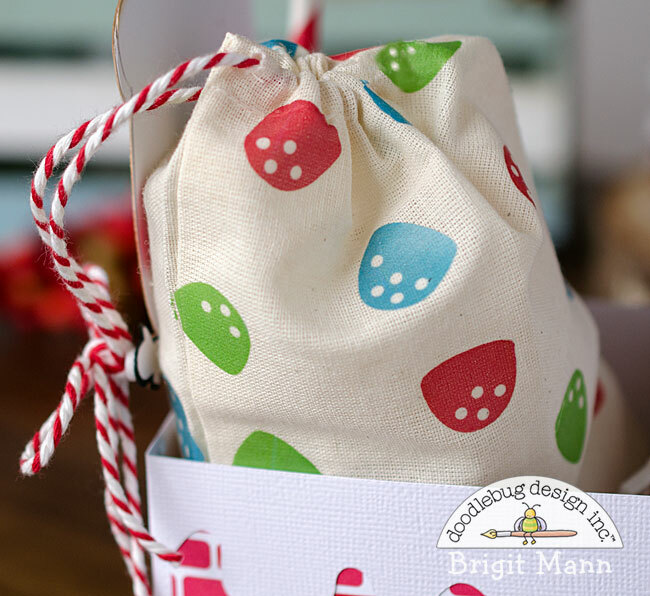 Using the Cameo and t-shirt transfers to make the gumdrop sack was a clever idea and made a really cute project. Whoever you give this to, it will brighten their day.